The Office of Adult Learners and Veterans Affairs (ALVA) is honored to be able to serve students who are serving or have served in the United States Armed Forces and their dependents. ALVA has the responsibility for certifying students who are eligible for VA benefits in order for them to receive those benefits and provide information about military training credits. You and your family have protected our freedom; now we are here to help you with your education. The Office of Adult Learners and Veterans Affairs is located on our Gallatin campus in the Ramer Administration Building, Room# 150. 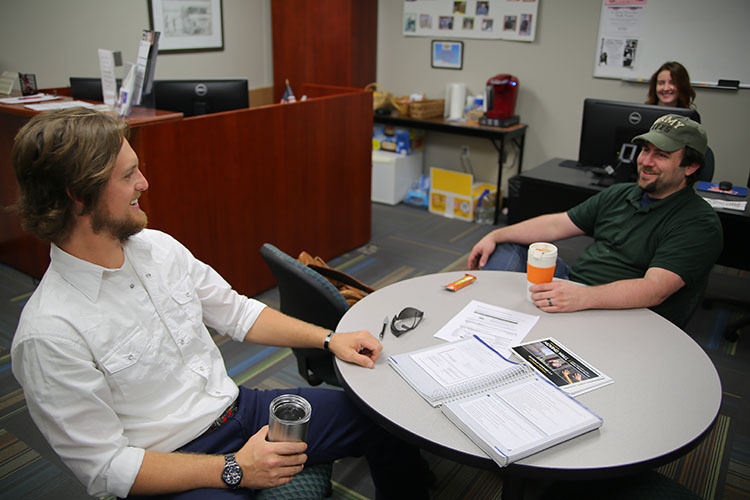 The physical location of the office serves as the Veterans Center, where VA students can utilize the space for studying, working on assignments, using the available computers, or building camaraderie with other VA Students who have had similar experiences. ﻿Approval for Vol State to offer VA and DoD education or training benefits comes with some conditions. To be eligible for payment of these education benefits, students must follow a degree or certificate plan, such as can be found in the student's DegreeWorks. The VA and DoD will only pay for classes fulfilling the student's degree or certificate plan for Vol State, or through approval from the student's degree granting institution. Any English, Reading, or Math Skills courses must be taken by conventional classroom method ONLY to be eligible for VA educational benefits (online versions of skills courses are not authorized for VA certification). The specific classes are ENGL 0810; READ 0810; MATH 0101, 0105, 0153. If you are not sure if the class you will be taking can be certified for attendance to the VA, contact the office of Veteran’s Affairs and Adult Learners to verify BEFORE registering for classes. Vol State accepts some of your military training credits. In order to have these credits applied to your Associate's degree at Vol State, you must have your DD 214 reviewed for college credit. If you have completed other credits that you think may apply to your degree here (i.e. technical credits for a CCAF degree), you will need to contact the advisor of your selected college or program. Credits are awarded on a case by case basis depending on your major or program.